Glickman & Glickman – including partners, their associates and their team of experienced secretaries and paralegals – provides thoughtful and personalized attention to each case, ensuring that every interest receives the full consideration and attention it deserves. Hands-on scrutiny of every case allows our attorneys to exercise their best legal judgment in offering clients the benefits of the finest legal services. We are David and Steven Glickman, father and son partners of one of the most established trial law practices in Los Angeles County. We specialize in representing injured victims and take great pride in thorough and steadfast representation of our clients. 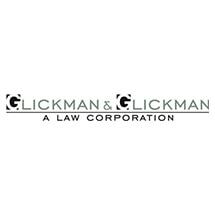 Glickman & Glickman is known throughout the legal community for our success in securing maximum recovery for our clients. Our experience - and our fighting attitude - means we’re not afraid to go to trial to protect our clients’ interests. Our firm’s commitment to excellence is reflected in the quality of its work product, the integrity of its representation and its adherence to the highest ethical standards.